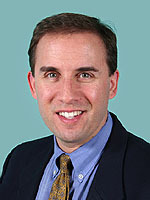 Dr. Andelman is a 1993 graduate of the University of Massachusetts Medical School and completed his residency at Allegheny General Hospital in Pittsburgh. He is member of the American College of Surgeons and is board certified in General Surgery by the American Board of Surgery. He has been practicing general surgery with Hawthorn Medical Associates since 1999.